Eazi Candle has been created by Derbyshire Candle Makers On a Wick & a Prayer. We have been candle makers for over twenty years. During that time, we have found many of our customers comment that they have cupboards full of empty containers from candles which they have loved and burnt, which they don't want to throw away, but they are not sure what to do with them. 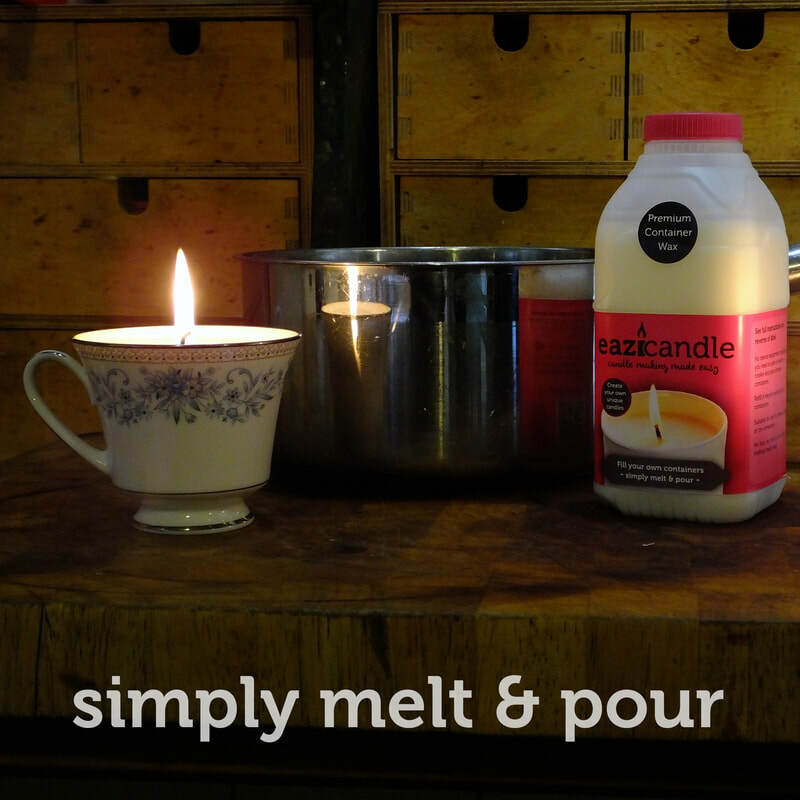 We thought that there should be an easy way to recycle these, but not everyone wants to invest in specialist equipment to remake their candles. And so we designed Eazi Candle! You can now recycle all your loved candle containers and bring your old favourites back to life. What's more the Eazi Candle is self-contained, needs no other equipment and the container itself is fully recyclable. Visit the On a Wick and a Prayer website to see our own range of premium candles.